Hot steam Herbal Balls ....Wow! 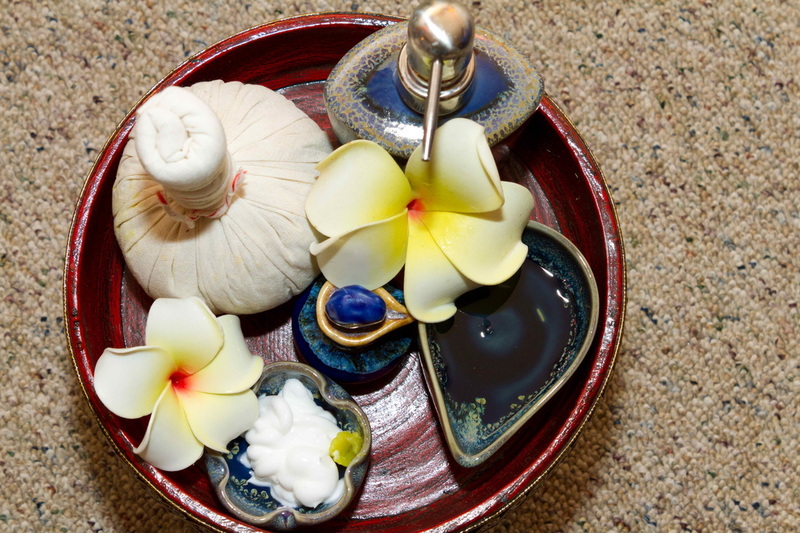 Herbal compress is another Thai traditional physical treatment. Fresh herbs are mixed and wrapped in a small piece of cloth as a round chunk. The chunk is steamed so that the herbs produce an ointment. By making hot compresses at the certain parts of the body, the herb ointment from the chunk slowly permeates through the skin. Steamed fresh local herbal ingredients are applied to help sooth and relax muscle tension and other aches and pains. Aromatic camphor in the compress eases respiration. Traditional Thai medicine uses herbal heat compression for the treatment of sprains, muscle pain, bruises and swelling. 1. Zingiber cassumunar (Plai): boosts circulation, relieving the strained muscle or inflammation. 4. Kiffir-Lime (Ma-kroot): (Leaf) Relieve the giddiness, soothing, deodorizing. 5. Curcuma longa (Khamin Chan): Good for curing some skin disease,rash and healing the wound. 6. Tamarindus indica (Ma Kham): (Leaf) Skin nourishment, easing rash. 7. Acacia rugata Merr. (Som Poi): Relieve strained or soar muscles.